Grand Theft Auto is the biggest franchise in gaming. It may not be the most iconic franchise, but in terms of sales, not much really comes close to it. To date, Grand Theft Auto V has sold roughly 100 million copies, which makes it the second best-selling game of all-time after Minecraft, which is still comfortably ahead of it by 50 million copies. That said, it's pretty crazy to think we haven't received a new Grand Theft Auto release at all this generation. Sure, Rockstar Games remastered GTA V, but that doesn't really count. That's crazy, and a drastic difference from when Rockstar was releasing multiple GTA games a generation. 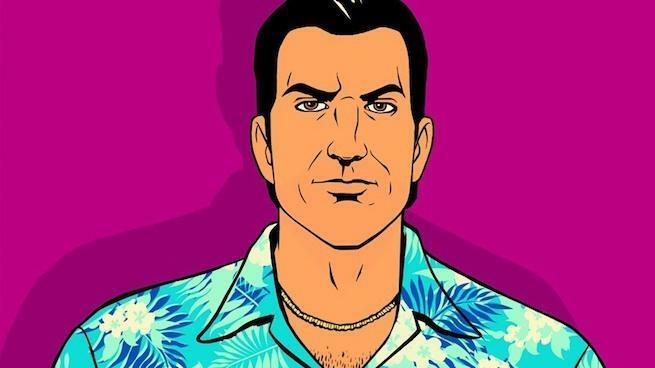 Since 2013, when GTA V first released, Rockstar Games has changed the way it develops games. It now develops fewer games, but the games it does develop are more ambitious. This leads to the development of each taking longer than they did in the past, which partially explains why there's been no Grand Theft Auto VI this generation. However, according to a new leak, while we won't be getting GTA VI this generation, we will be getting it quite soon. According to an anonymous European developer, the next installment in the popular series is coming next year, during the holiday season. Further, the developer alleges that Sony is dealing out a mountain of cash to Take-Two Interactive in order secure a one month exclusive period for the PS5, meaning the next Xbox wouldn't get the game until a month later. The leaker also says they've heard that the game will take place in two cities -- Miami and New York City. Of course, all of this should be taken with a HUGE grain of salt. Not only is this an anonymous leak, but the details seem dubious to say the least. For one, it conflicts with a previous rumor that suggest the game will release around 2022 and take place in Miami and South America. Secondly, Rockstar Games just released Red Dead Redemption 2 last October, meaning it's incredibly unlikely it will be able to turn around and pump out a new GTA by holiday 2020. And lastly, the idea that Take-Two Interactive would be interested in granting Sony and the PS5 a one month exclusivity seems awfully fictitious. Why would Rockstar and Take-Two Interactive risk the backlash from Xbox gamers just for some extra cash? We're talking about Grand Theft Auto, the series that already makes more cash than Take-Two knows what to do with. Alas, like any rumor, there's a chance that some or all of this information is correct. If so, it would be the scoop of the century. But there's a better chance some, if not all, of this information is incorrect of flat-out fake. Anyway, as always, feel free to leave a comment or two letting us know what you think or hit me up on Twitter @Tyler_Fischer_ to spitball about GTA VI.